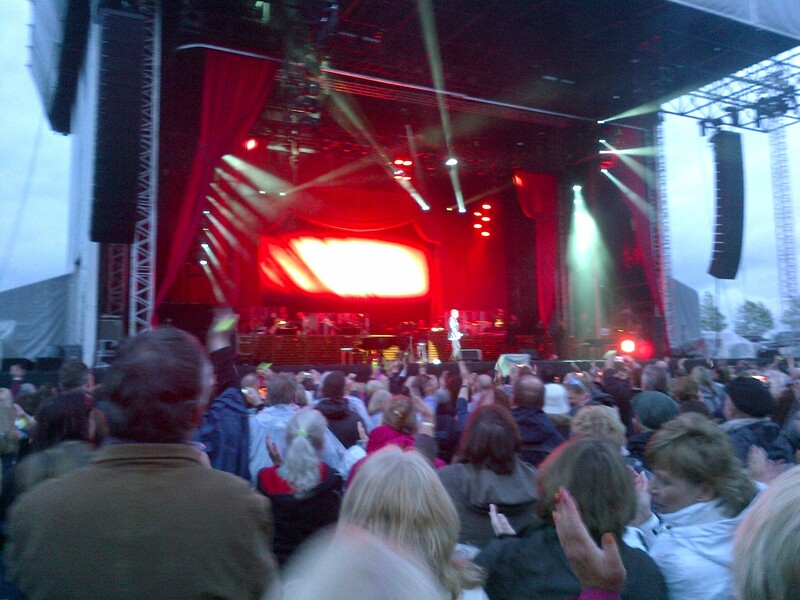 Last Saturday, I was one of the many folks who braved the English weather to see Barry Manilow at the Ageas Bowl. I will state here and now that it is not me that is the fan. Nope, that would be my wife. 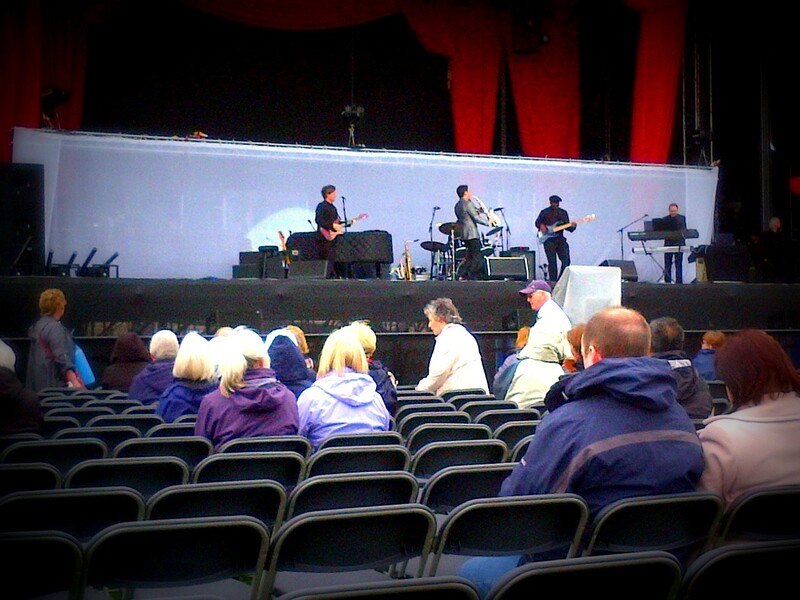 The support act were great, Dave Koz and his band. Its a shame that they weren’t on for longer. An even greater shame was that the sound quality for Dave Koz was much better than that for the star performer. Mr Manilow’s vocals were somehow mixed in with the mushy sound coming from the band. If we didn’t already know the words, we would have struggled to understand what he was singing. We had good seats so it wasn’t down to poor position in the Ageas Bowl. Manilow has produced more than 40 albums over the course of his 50-year career and has been awarded countless awards, including a Grammy, two Emmys, a Tony Award and an Oscar nomination. Five of his albums were on the best-selling chart simultaneously in America in 1978 – a feat equalled only by Frank Sinatra, Michael Jackson, Bruce Springsteen and Johnny Mathis. Sinatra himself gave Manilow his stamp of approval in the 1970s when he was quoted as saying “he’s next” regarding the singer. He has worked with the likes of Bette Midler and Dionne Warwick, and written for musicals, films, and adverts. From February 2005 to December 30, 2009, he was the headliner at the Las Vegas Hilton, performing hundreds of shows. Given that he has such a huge repertoire, to be treated to a reprise of mainly his biggest hits is disappointing. Maybe it’s because I am not a fan that I am being so critical but I think he is doing his true fans a disservice. You can see from the following phone picture that there wasn’t much clearing away of equipment to be done. Yet, we were kept waiting for an hour, for the rather dubious pleasure of Barry performing for just over 80 minutes. I have also read the reviews of some of the other shows around the country and it seems that we were short-changed. The big screen at the back of the stage wasn’t functioning properly on Saturday. So we missed out on some duetting between Barry and his younger self on film as well as some film footage from the neighbourhood of his youth. This was my wife’s third time of going to see Barry Manilow. I have resisted going along on previous occasions and he did not sell himself to me on this occasion. I will not be going along to any future Manilow gigs. All in all, for such a “big star”, I would say that he is poor value for money. This entry was posted in Local (To Me !!! ), Music and tagged Ageas Bowl, Barry Manilow, poor value. Bookmark the permalink.